The report aims to identify the legal obstacles before active participation in civil society in Turkey and present recommendations to overcome these obstacles. This study, which seeks to promote active participation, has been prepared with a comparative perspective in light of international standards. 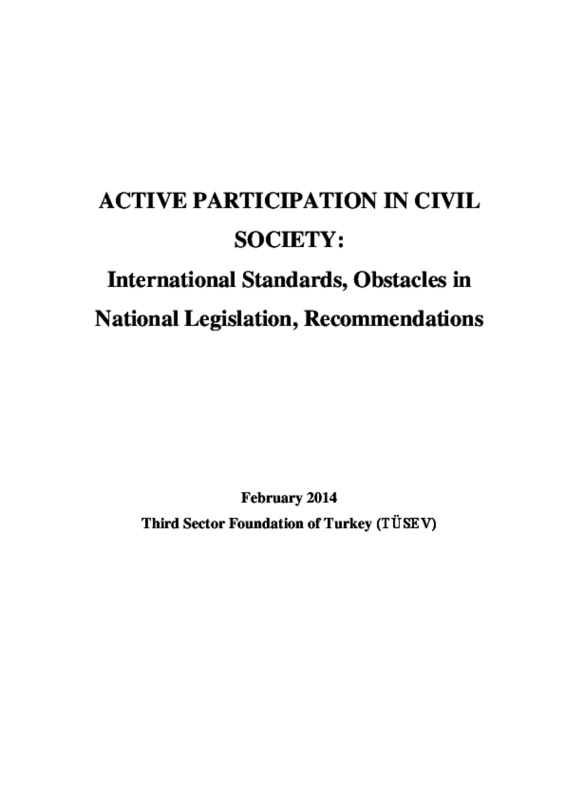 In identifying obstacles that stem from national legislation and provisions that forestall or hinder participation in civil society, the first consideration has been how the freedom of association is defined and restricted in international documents, case law issued by international mechanisms and in European Union (EU) standards. The freedom of association provides protection for numerous forms of organizing including political parties, unions and civil society organizations. However, in scope of this report the focus will specifically be on associations and foundations as non-governmental organizations.